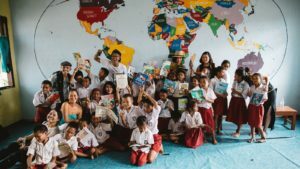 Our Library’s Opening in South Halmahera! On a beautiful and sunny day, our team arrive in Labuha, Bacan Island, South Halmahera. We take a small plane from Ternate and the journey only take about half an hour. 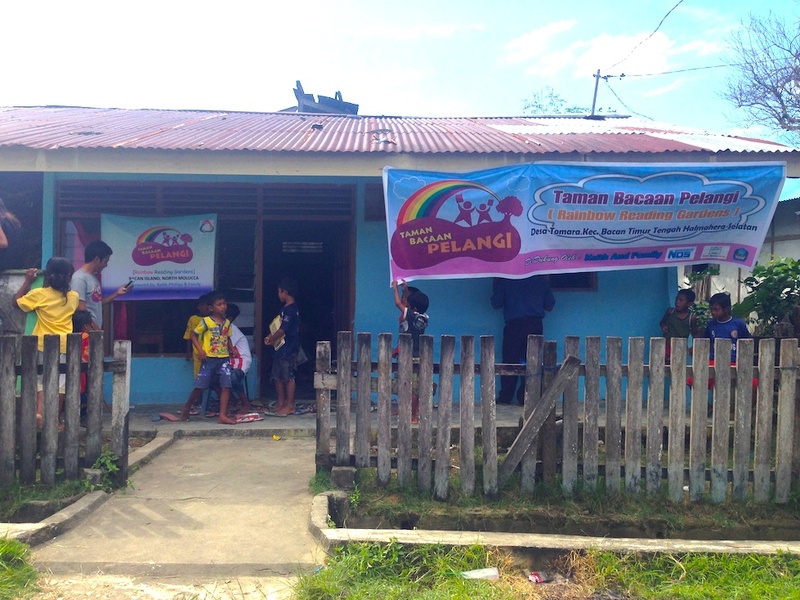 Today, we are going to open our new library in Tomara Village on Bacan Island. Yippppeee!! From Labuha, we still need to go to Babang and take a speedboat to Tomara Village for an hour. Some locals say that the sea had been rough in the past weeks, but not today! The sea is calm, the sun is shinning brightly, the weather is perfect. It seems that the universe knows today is a special day for us and for the kids in Tomara Village! Yes… today marks the day when they will have their first library in the village! Woohooo! Isn’t it exciting? When the speedboat approaches the jetty in Tomara Village, suddenly, hundreds of kids in their school uniform run towards us. Oh wow! We don’t expect it at all! Soon, we see a line of teachers, school principals, and hundreds of students coming to greet us. Then, the students stand in line, making an alley in the main road heading to the gate of their village. Such a warm welcome! All of us walk to the location of Taman Bacaan Pelangi, which is located in a building that used to be the District’s Office. 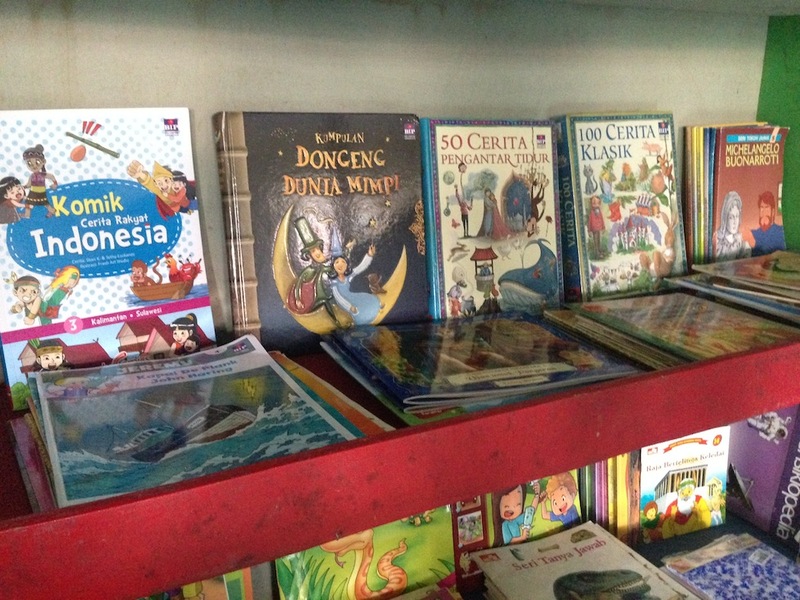 The building has been re-painted, the bookshelves filled with books that we sent from Jakarta, are already in place. Very nice. Pak Zulkarnain gives a welcoming speech, stating: “On behalf of the villagers and the kids in Tomara Village, we thank Taman Bacaan Pelangi for opening a library in our village”. He also gives some wisdom words to the kids related to the importance of reading. The next speech is from Syamil Kamarullah, the founder of Rumah Belajar Bibinoi (RuBi). We partner with RuBi for this particular library. RuBi will be the one who manage the library and supervise the programs. In his speech, Syamil says that RuBi will recruit a team from the junior and high school students to help manage the library. 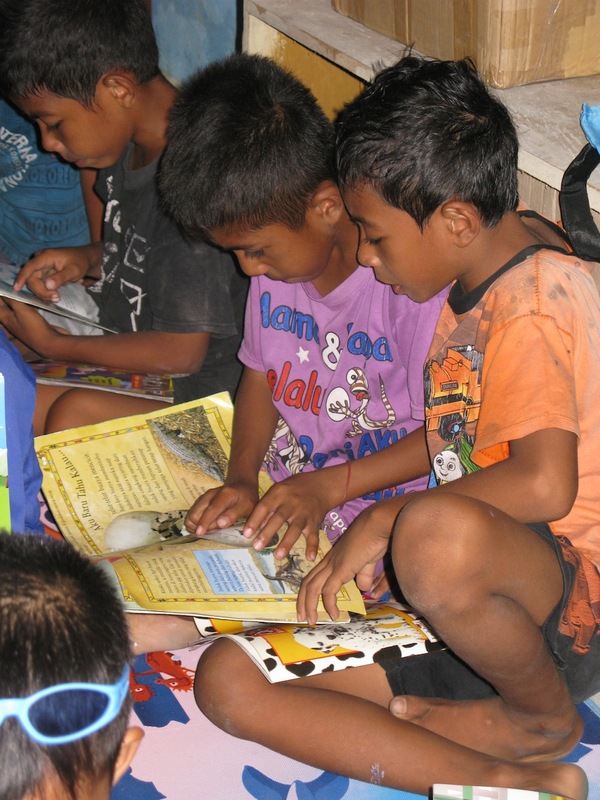 Our library in Tomara Village, Bacan Island is sponsored by a generous donor, named Keith Phillips. Mr. Phillips and his family has been living in Indonesia in the past few years and now has to leave the country. 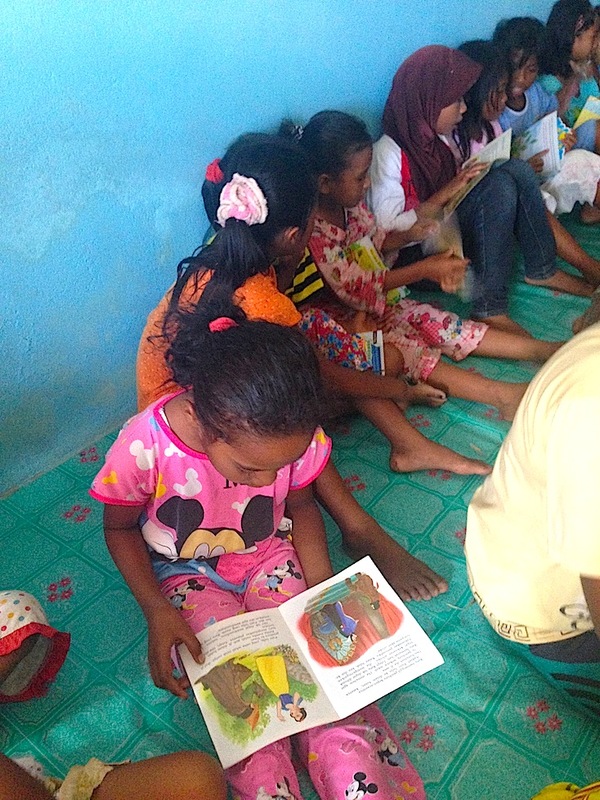 According to Mr. Phillips, Indonesia has been so kind to his family, so this is the way to give back to the country, by sponsoring a library for the kids who live in a remote area! In his speech that he delivers in Bahasa Indonesia, Mr. Phillips explains the importance of reading to children’s development. 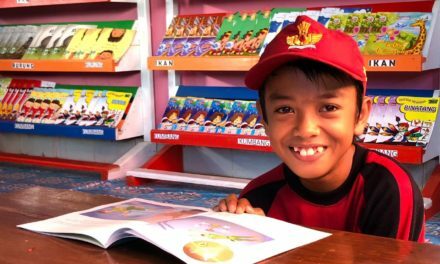 He hopes the library in Tomara Village will grow and the kids love reading the books in Taman Bacaan Pelangi. Last but not least, a short speech from Nila Tanzil, Taman Bacaan Pelangi’s Founder. Nila greets the kids and encourages the kids to start reading books. She also mentions the types of books provided at the library, which makes the kids’ eyes immediately sparkling. 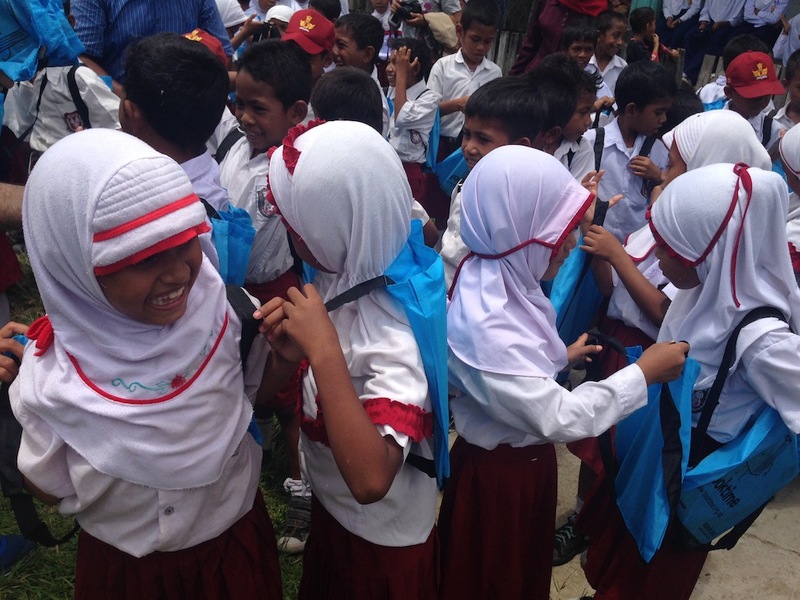 In the opening ceremony, we also giveaway a blue bag that consists of two children books to every elementary school student, a total of 160 kids. 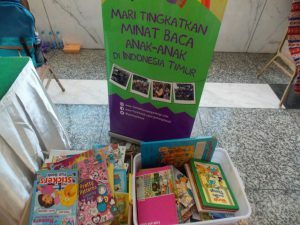 This package is donated by The Asia Foundation from its “Booktime” program. Thank you, The Asia Foundation! 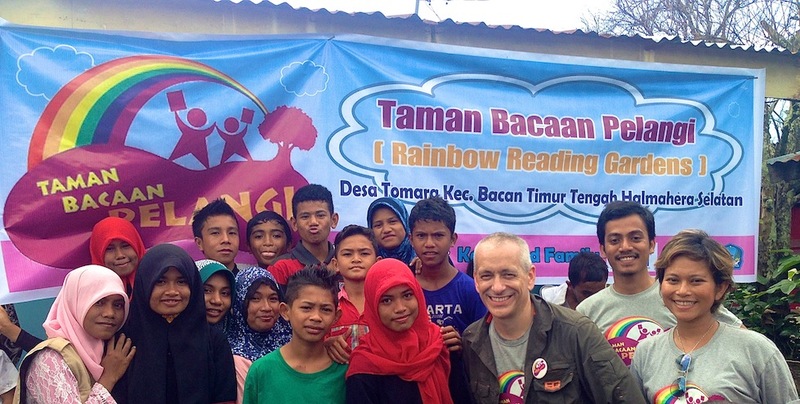 The kids in Tomara Village can’t wait any longer to check out the books at Taman Bacaan Pelangi. Around 2,000 titles of children books are placed nicely on the bookshelves. As soon as we open the library’s door, the kids run to the bookshelves, choosing the books they want to read. We can feel their excitement and thirst of books! 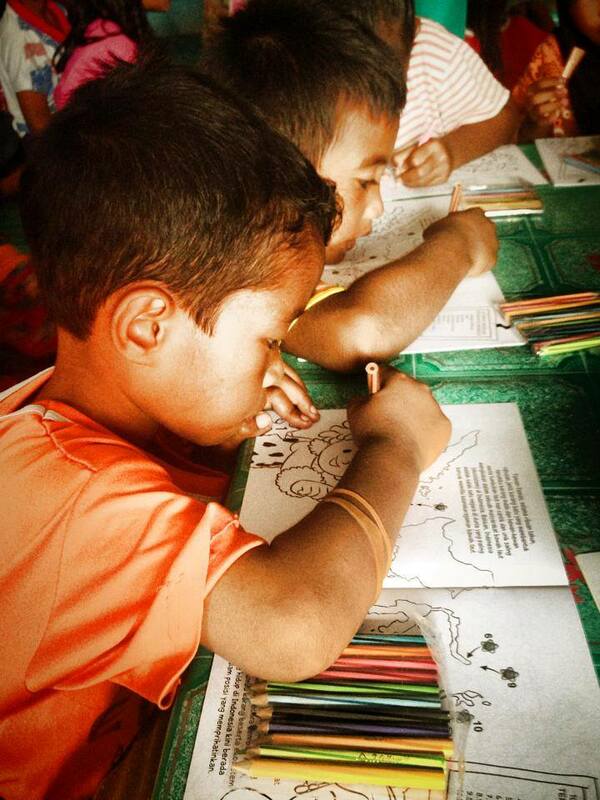 For the first grade students who are not able to read yet, we also provide colour pencils and colouring books, sponsored by Didgit Cobbleheart. Soon before we realise it, these younger kids are already drowned in their own world, colouring the Didgit Cobbleheart book with full concentration. Very cute! It is always a fun, memorable, and emotional experience at the same time, every time we open our new library. The excitement of the kids, the sparks in their eyes, the smiles on their face, all make this journey worthwhile. 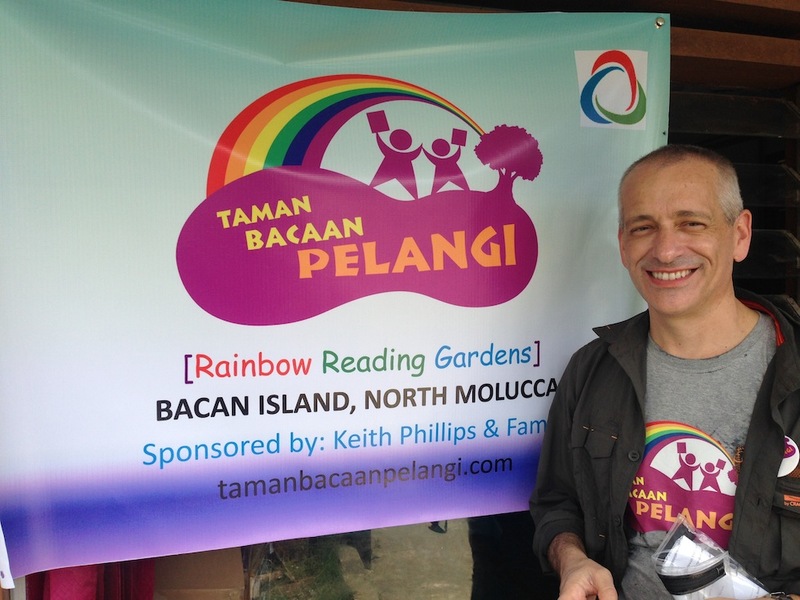 On behalf of the kids in Tomara Village, Bacan Island – South Halmahera and Taman Bacaan Pelangi’s team, we thank Mr. Keith Phillips & Family for your generosity in sponsoring our library in this village. 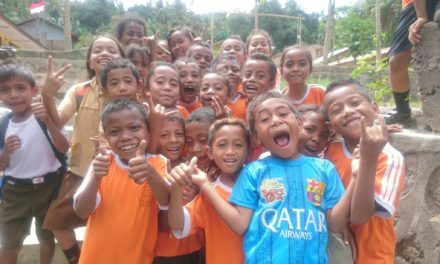 Your support means the world to these kids! 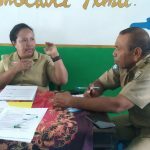 We also want to thank our partner in South Halmahera, Rumah Belajar Bibinoi (RuBi), for the help in managing and monitoring our library in Tomara Village. Also to The Asia Foundation and Didgit Cobbleheart for your continuous support to us! You guys are awesome!!! PreviousOur New Library on Alor Island, East Nusa Tenggara!